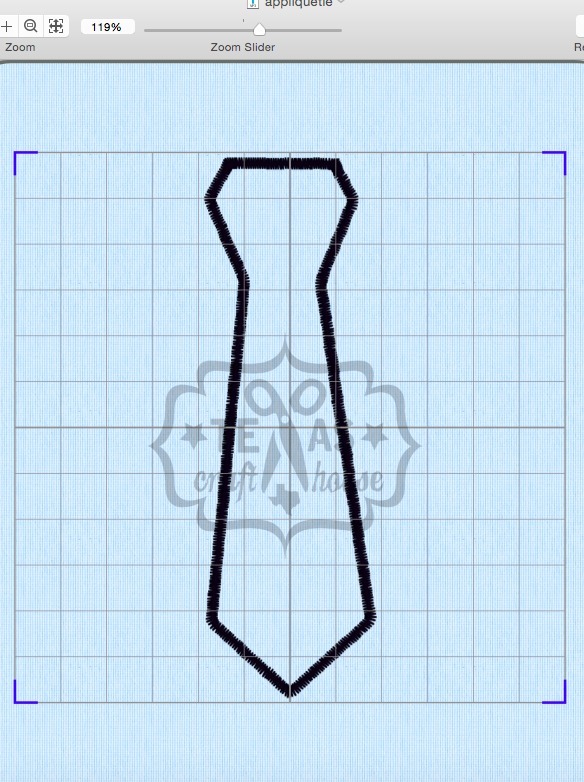 I designed my own necktie appliqué with my TruEmbroidery 3 software. 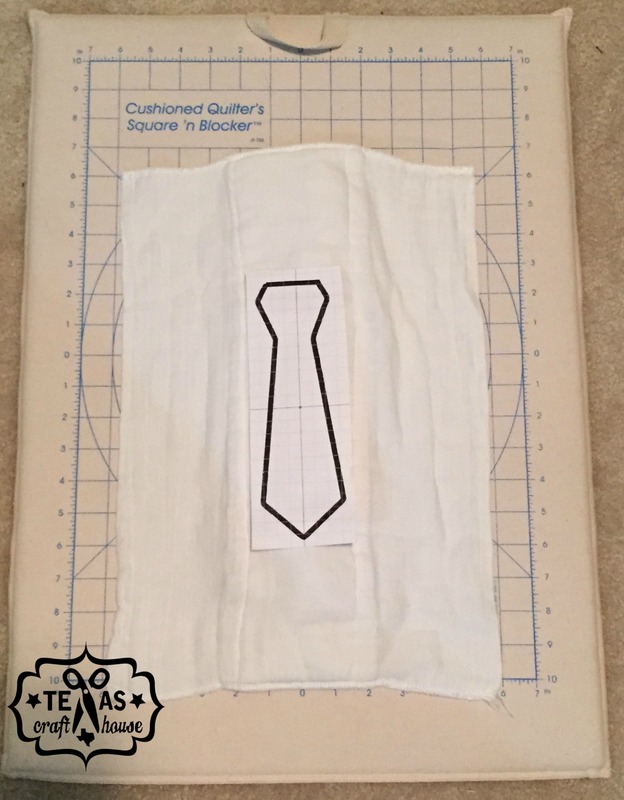 I found a google image of an outline of a necktie that I liked and imported it into my software. 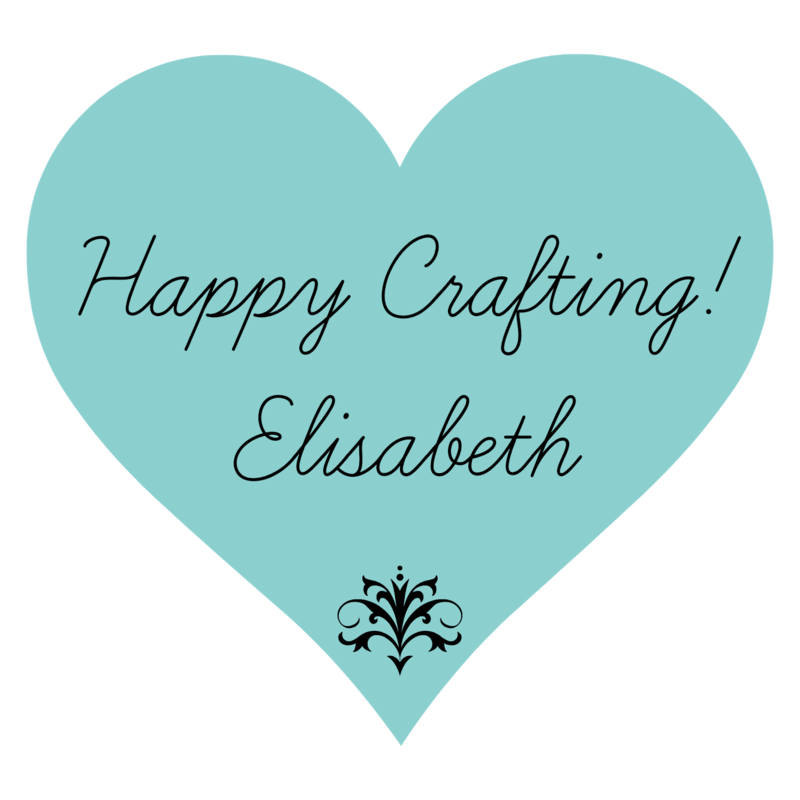 I told my software to add a design underlay which helped turn the outline into an appliqué. I then added some stop commands to the design so that when I put it in my machine to stitch it would stop in order for me to cut the extra fabric away creating the appliqué. I used my Viking Husqvarna Ruby Royale Embroidery machine (Click the link to check out my unboxing!) to stitch out my appliqué. I did need to use my biggest hoop which is 360 x 200 cm. I hooped my stabilizer and then used the print out of my appliqué to figure out where I wanted it to stitch on the cloth diaper and marked the center. I then cut a piece of the fabric I wanted to use, I only cut what I needed and then cut a matching piece of Stick N Fuse and attached it to the fabric. After putting the hoop on my machine I placed the cloth diaper on top of the stabilizer and hoop and adjusted until the cloth diaper was centered and laying straight so that it would not stitch crooked. Then I pushed the start button and let the machine stitch the first layer of the underlay before placing the piece of fabric over it. Then I pushed the start button again and let it stitch the fabric down. Once it was complete I cut the extra fabric all the around the stitch and hit start again. This time the machine made the satin stitch all the way around the necktie. Once it was done I cut away the extra stabilizer and then ironed over the fabric fusing it to the cloth diaper. 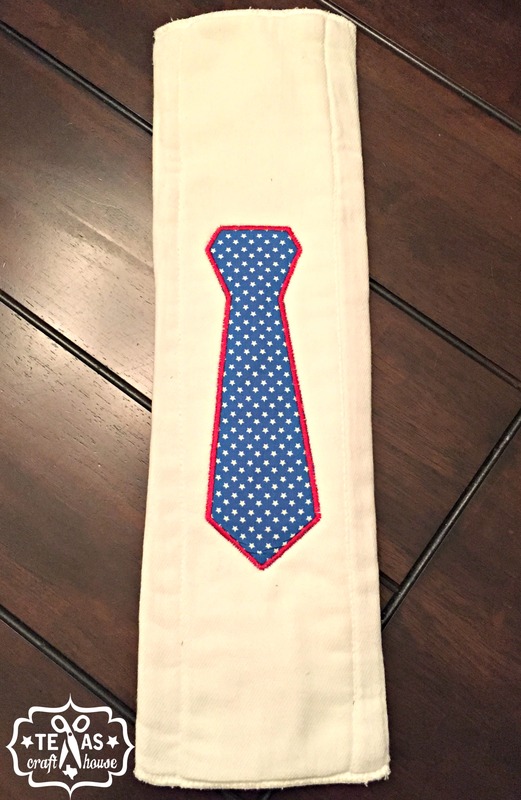 I made two of these burp cloths because I found the cutest Americana fabric and thought that it was a fun idea for a burp cloth. 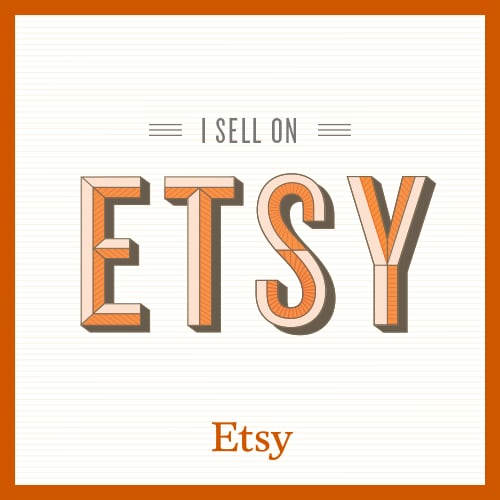 If you’re interested in buying one check out our listing on Etsy! 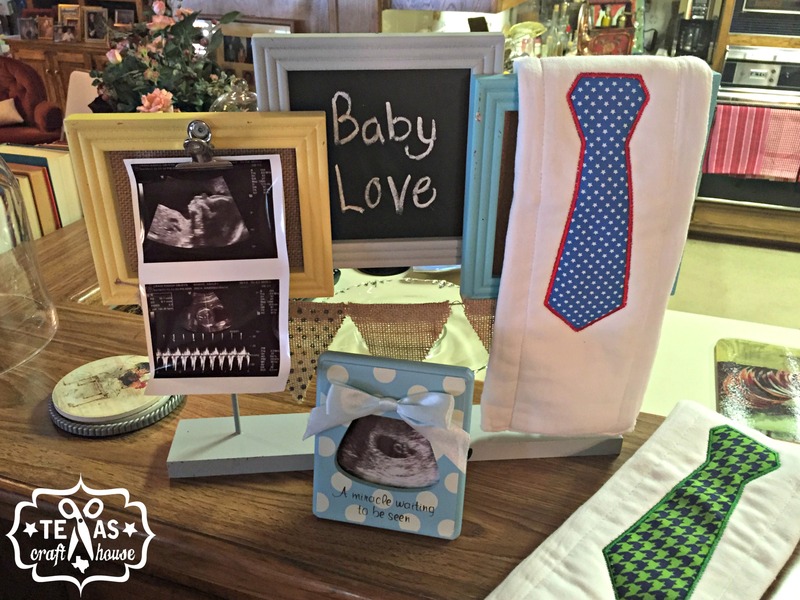 If you have any cute ideas you’d like to see let me know! !